What’s the fallout for sellers if states succeed? In the address, Virginia Governor Terry McAuliffe (D) spoke of the “longtime, state-driven effort to level the playing field for all retailers by allowing states to collect sales taxes on remote sales.” He further stated that “Governors, legislators, county officials, mayors, and city councils have joined with retailers” to continue to work toward a solution at the federal level. But, since Congress has yet to pass legislation through both houses, “alternative solutions at the state level” must be pursued. Is Quill dead? If not, can states kill it? In 2016, governors and state legislators will join efforts to create a solution to their remote sales tax revenue problem — to kill Quill, so to speak. One solution is to establish nexus (a sales or use tax collection requirement), which could create compliance problems for many businesses. In Bellas Hess, the Court ruled that the Commerce Clause prevents states from requiring a business to collect use tax if the business does not have a physical presence in the state. In Quill, the Court affirmed the decision in Bellas that vendors with no physical presence in a State lacked the substantial nexus to impose tax collection duties under the Commerce Clause. However, the Court admitted in the ruling, “The underlying issue here is one that Congress may be better qualified to resolve and one that it has the ultimate power to resolve.” To date, Congress has not resolved the issue. Both the NGA and the NCSL are answering Justice Kennedy’s call to challenge Quill. 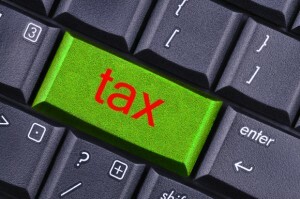 Both are still working toward a solution at the federal level, such as the enactment of the Marketplace Fairness Act. But both are also encouraging states to pursue alternative solutions. To that end, lawmakers are reportedly working together to develop strategies to help states require more sales tax collections from remote sellers. In other words, they’re actively encouraging states to enact laws that will enable them to access remote sales tax revenue. Exactly how states will answer the call to “Kill Quill” remains to be seen. It is possible that some will ignore it. But others need little persuasion to impose a sales tax obligation on businesses that sell to residents via the Internet, catalogs, television or telephone. They need revenue and they’re being given the green light to get it. Don’t let the states’ plan to solve their problems create more problems for you. 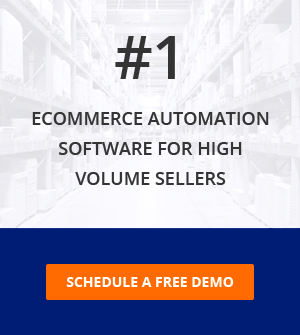 Instead, get ahead of any changes in remote selling nexus requirements by implementing your own alternative solution: sales tax automation. Complete the Transactional Tax Compliance Assessment to learn if growth or go-to-market strategies are stretching you to your limit when it comes to managing sales and use tax compliance. Check it out now. "Clearly, sales tax compliance is not profitable. "